Saturday, February 2, 2019. Various Events and Times. 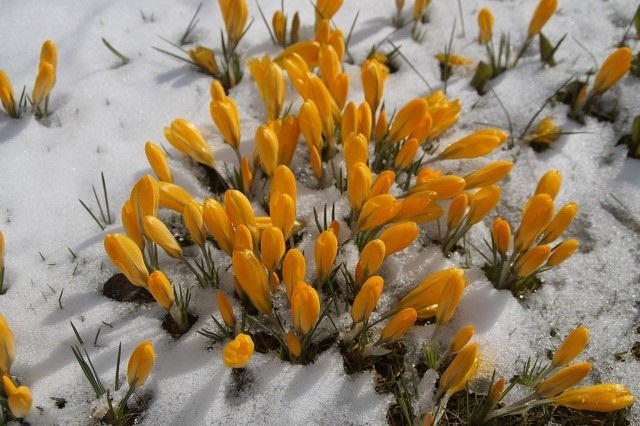 Imbolc is also known as Candlemas and Groundhog’s Day and occurs at the beginning of February. It marks the halfway point of Winter and it holds the promise of Spring. The original word Imbolg means ‘in the belly’. Heritage UU Church pagans invite you to celebrate with some traditional rituals associated with this sacred day. You are welcome to participate in any or all of the following elements, which take place at Heritage Church. At 4:30 p.m. we will walk the land to notice and honor signs of the coming of spring and the return of the sun. The Imbolc Festival acknowledges the successful passing of winter and the beginning of the agricultural year. At 5:00 we will have our Imbolc ritual around the fire, outdoors as weather permits. This day traditionally honors Brigid, goddess of healing, poetry, and smithcraft, who was so loved as an ancient Goddess that her worship was woven into the Christian church as St. Bridget. The ritual will include reading of poetry, all are invited to bring a poem to share. At 6:00 you are invited to a potluck dinner. Contributions might include traditional items like breads, grains, and vegetables stored from fall. Dairy is also traditional, since Imbolc marks the festival of calving. Just bring whatever you have a lot of in your pantry. At 7:00 we will circle round once again for drumming and dancing. We gather to celebrate the growth of the returning light and honor our insatiable appetite for rebirth in all its forms. Please bring a potluck contribution, a drum or noise maker and an open mind. Visit the event page on Facebook for updated information.